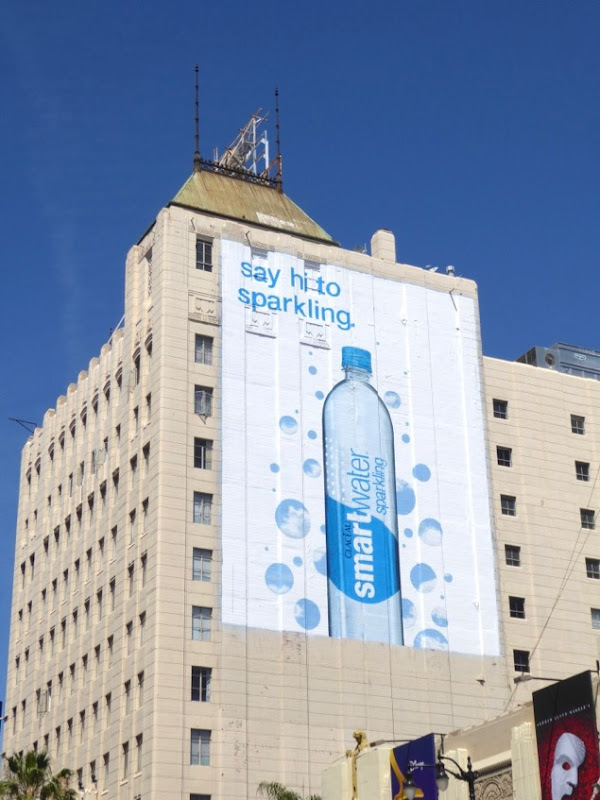 Now that consumers are being advised more and more to reduce their intake of carbonated sodas over health concerns, Coca-Cola is putting the fizz into its premium bottled Smartwater brand to compete with other sparkling water offerings - Perrier, San Pellegrino and the like. 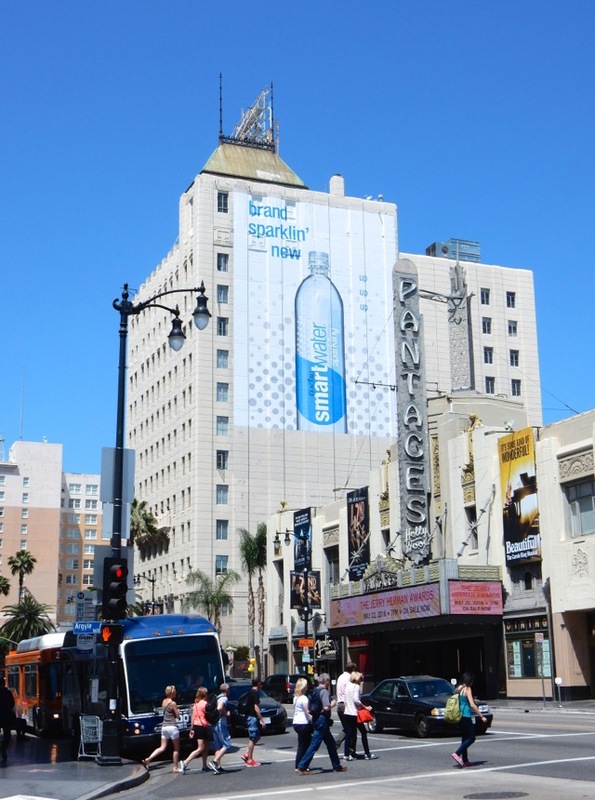 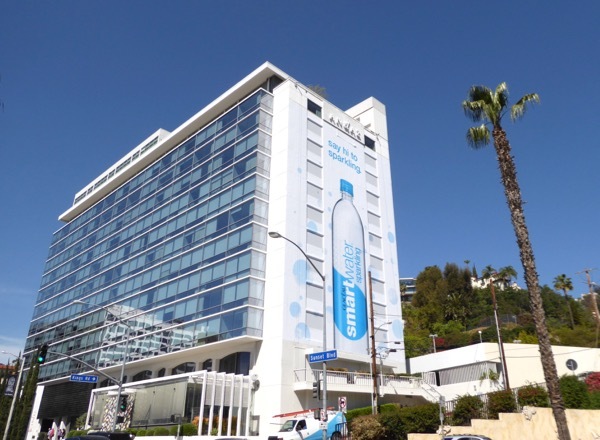 These 'brand sparklin' new' outdoor ads have been popping up in Los Angeles of late and Daily Billboard is sure we'll soon see some celebrity or other holding, or drinking from, one of these sparkling Smartwater bottles in the coming months. 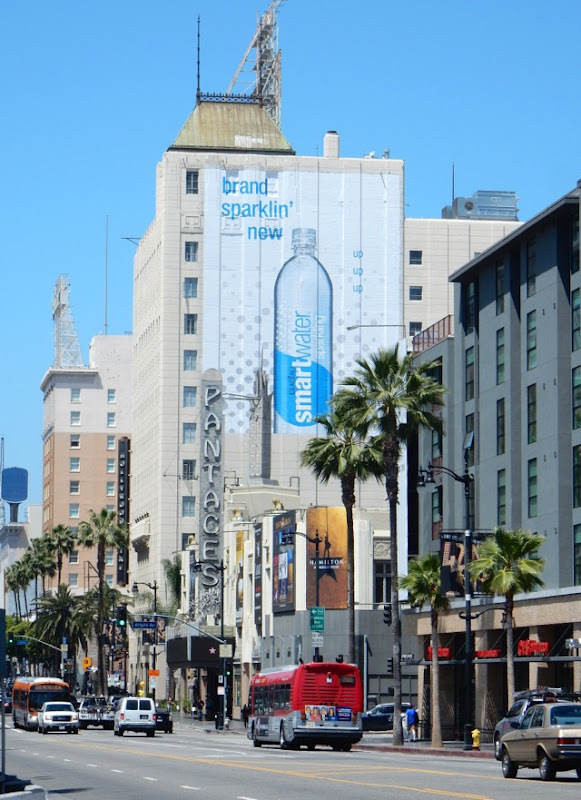 These bubbly billboards were first snapped along Sunset Boulevard on April 25, with the giant-sized wallscape photographed high above Hollywood & Vine on May 2, 2016. 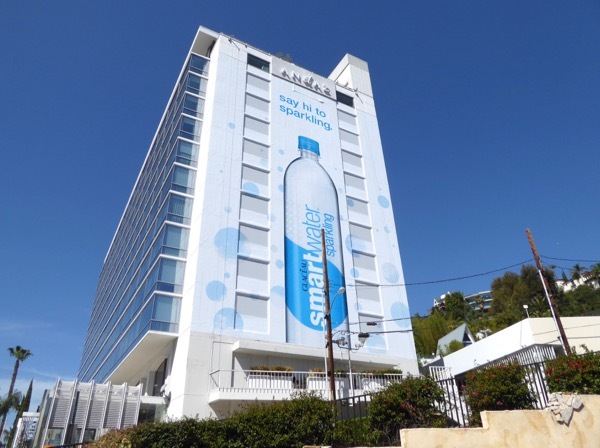 If you're a fan of the bottled water brand, make sure you also check out these regular Smartwater billboard ads featuring Jennifer Aniston from 2011 to 2014. 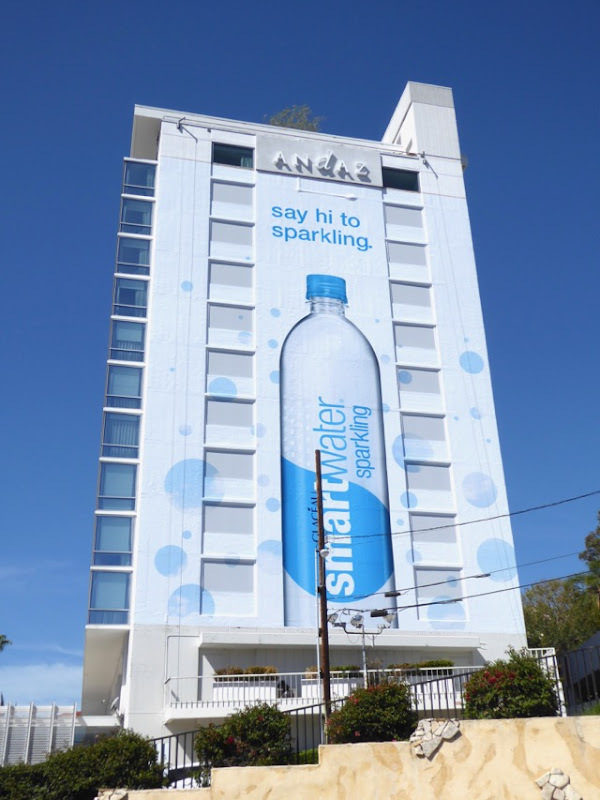 For other bottled water out-of-home advertising campaigns, you can also take a look at these Vitamin Water billboards, these risqué 138 Water billboards and these Arrowhead water billboards. 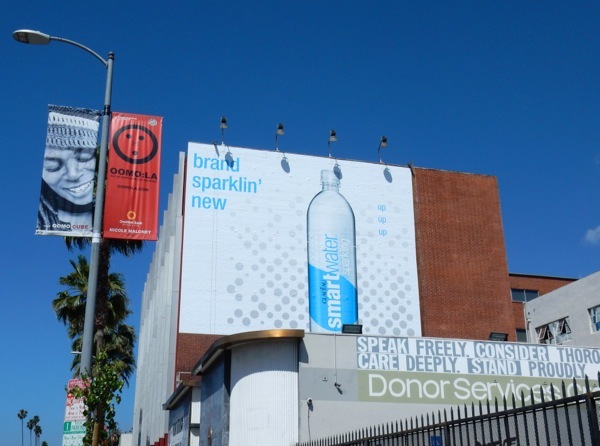 The only real question Daily Billboard has is, does drinking sparkling Smartwater make you even smarter? 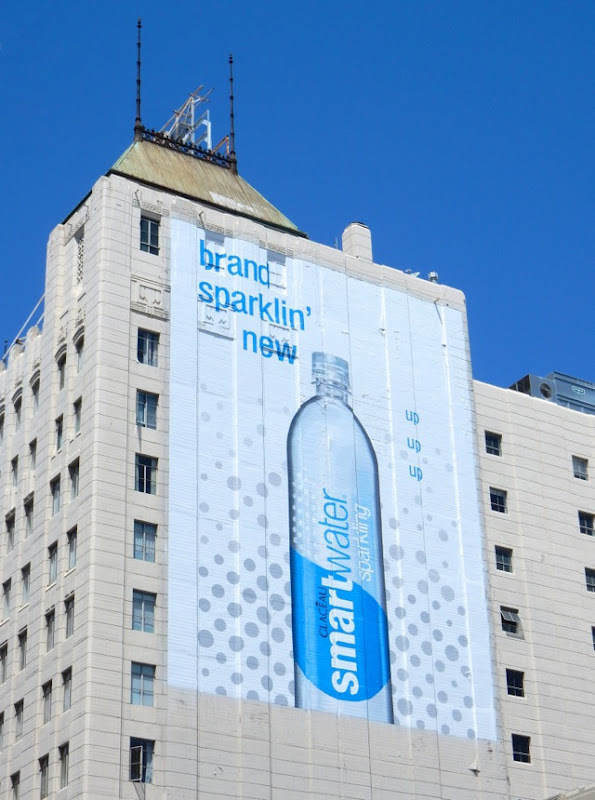 For example, does every bubble contain an extra IQ point? 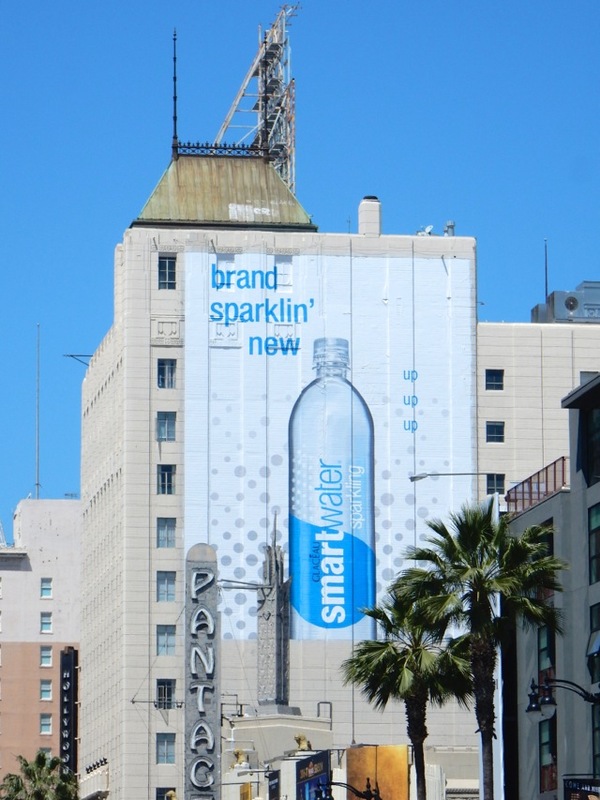 Enquiring minds want to know these things. 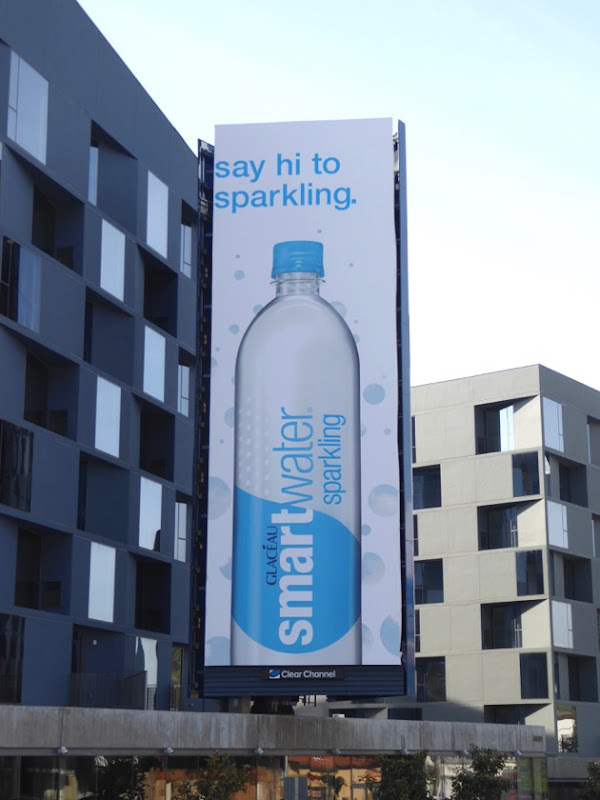 UPDATED: Here's also another sparkling Smartwater billboard snapped along West Hollywood's Sunset Strip on March 17, 2017. 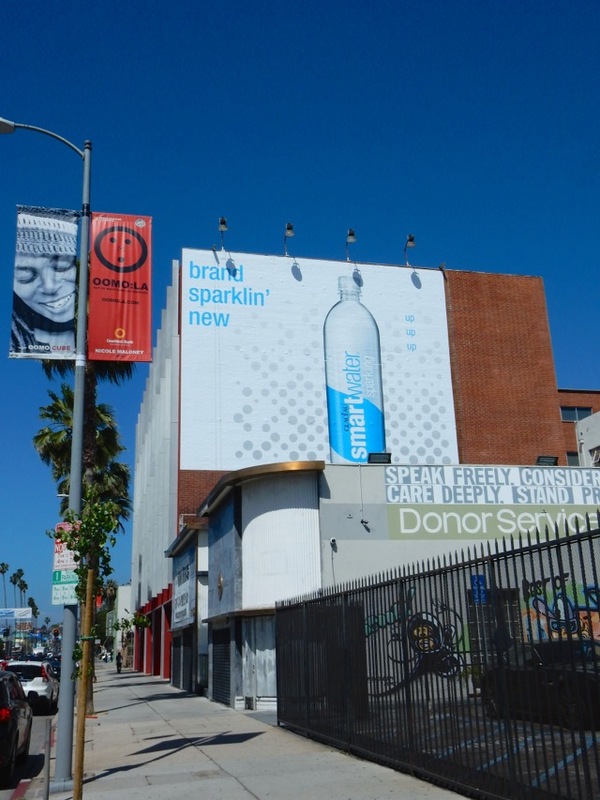 This portrait billboard was joined by another giant-sized 'Say hi to sparkling' ad creative further east along the Sunset Strip. The bottle product shot is certainly the hero in these simple ads, but everything stands out more when it's been super-sized. 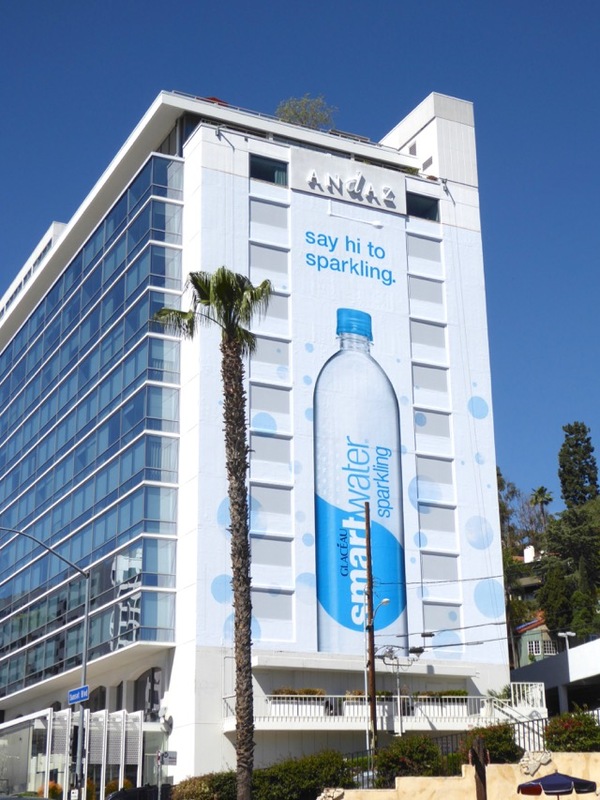 This bright billboard was photographed gracing the side of West Hollywood's Andaz Hotel (where Jennifer Aniston regular Smartwater ads have appeared in the past) on March 28, 2017. 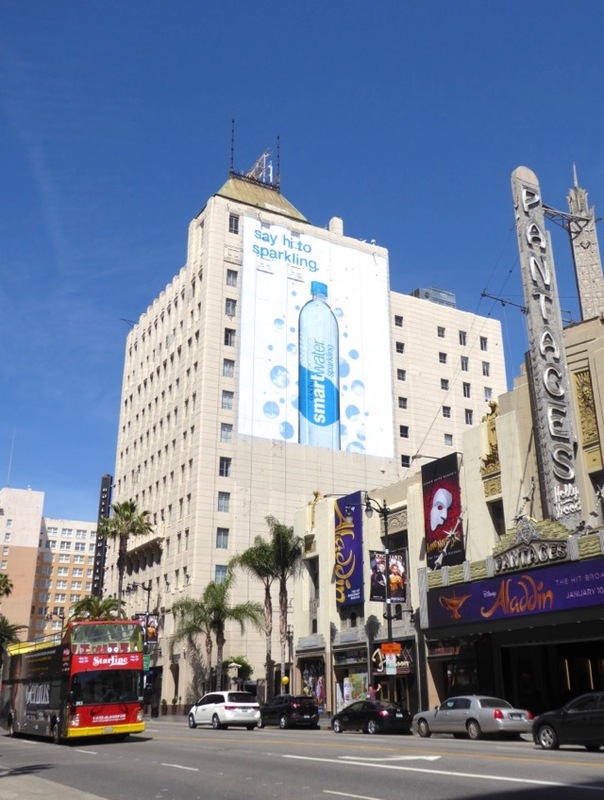 UPDATED: In addition here's another giant-sized hand-painted wallscape for the bubbly water towering over the Pantages Theatre along Hollywood Boulevard on April 28, 2017.